Click the country you are looking for! 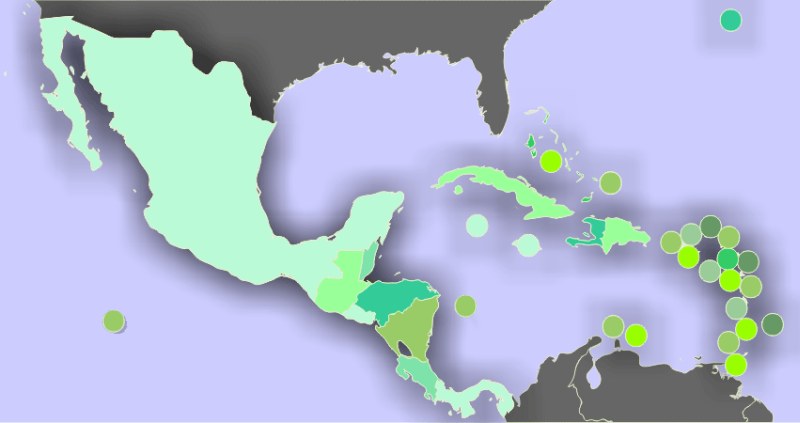 The following table shows the countries of Central America and the Caribbean Sea and their population. The population data are estimations for 2017.